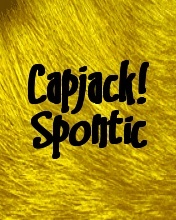 May | 2011 | Spontaneity+Criticism=Spontic! Tucker and Dale vs evil – No mercy, only comedy! If too open minded, Guys like Sam Raimi, Rob Zombie, James Wan, Eli Roth and Alexandra Aja might top the list of who laughed their bloody brains out after watching this Eli Craig flick, because they’re laughing at their own selves but twisted. In simple words, Tucker and Dale vs Evil is an endless parody of the horror genre beats, established by men like those who mentioned above. How many times have we have seen ‘a bunch of teenagers going away on a trip to a devilish forest and getting killed by some movie made psychopath sans merci’ films? And of course a bit of skin at first and a lot of blood and flesh later. Lovely girls turn gory corpses in no time when their boyfriends are busy etching out plans to get them out of peril. For a change, Tucker and Dale vs evil gives you a donut in the counter where you usually receive peppermints. 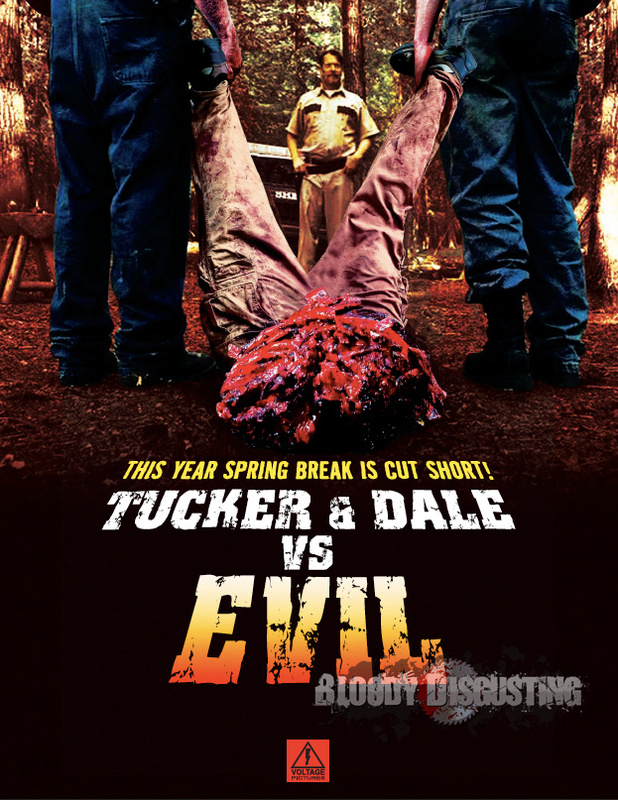 Tucker and Dale vs evil begins very ordinarily, but right at the exposition we get to know the light-hearted hillybillies Tucker and Dale who’re on a trip to their new vacation home. On the way they meet a bunch of college kids who look back at them as men to be avoided. Very soon they stay nearby, where one of the college girls, Alison (Katrina Bowden) is saved by Dale when she is about to be drowned. After witnessing Alison being taken away by the hillybillies, the rest of the crew runs away to make plans for later. The actual fun begins when Tucker and Dale keep the unconscious Alison in their cabin and wait for her friends to return. Very soon they’re bumfuzzled to death when they see the college kids beginning to kill themselves one by one. And here begins the evil! Right from the start this flick is a funny roller caster ride but with blood all over. It makes you laugh in those scenes where you had squeamishly shut your eyes before. There is blood, gore and death, but no pain for fun . Tylor labine as Tucker , Alan Tudyk as Dale and Jesse Moss as Chad stand out from the bunch. Well written and well directed, the film takes its turns and twists at the right times and in the right way. The best part of this script is that it convinces and convinces you to the very end that there is no lack of verisimilitude in the film. The first and second acts march ahead in perfection and charm than the third act which hurriedly ties up loose ends. Characterisation is the best part here because its where the reversal which enables the genre to be bent to the max in the opposite angle takes place. For instance, the reserved Hillybilly, highly dumb psychology student(Who destroys the best opportunity to clarify things), an insane saviour boy and not to forget, the drooling bulldog. Music by Michael Shields and Andrew Kaiser is a typical but fine score for the horror genre which usually provides only hackneyed ques to be filled. David Geddes‘ cinematography shows the simple forest and cabin in a funnily terrifying manner with the use of warm lights and filters. Since, after all a parody is none but an incongrouous imitation, there is a number of disconsonant moments in Tucker and Dale vs evil which had to be ignored if to be enjoyed. The scene just before the fade out which ends the fun is something too cliched even in a parody. In many areas the potentialities of further fun are lost for the parody’s sake. So next time when you’re watching a ‘bunch of kids and a psychopath’ movie, never recall Tucker and Dale vs Evil, else you might laugh, adding to the horror of the man or the girl next to you. If instead she or he smiles back at you, she or he has definitely seen Tucker and Dale vs Evil.